Alliance Patisserie is a contemporary pastry experience rooted in French technique. Situated in River North—a Chicago neighborhood serving as a home for both houses of design and art galleries—Alliance Patisserie brings to life the vision of Chef Peter Rios for an authentic European boutique where art and flavor commingle on a plate. Alliance Patisserie offers an entirely unique space for Chicago and its visitors to take in exceptional European pastries—from balsamic fig macarons to mango coconut éclairs, to sample our fresh café offerings though our seasonal salad and sandwich selection, and to drink up our exclusive Alliance Patisserie blend from Bow Truss Coffee Roasters. Our bright and beautiful storefront offers a pleasant pause for commuters on the go, and room to sit and share an entremet. 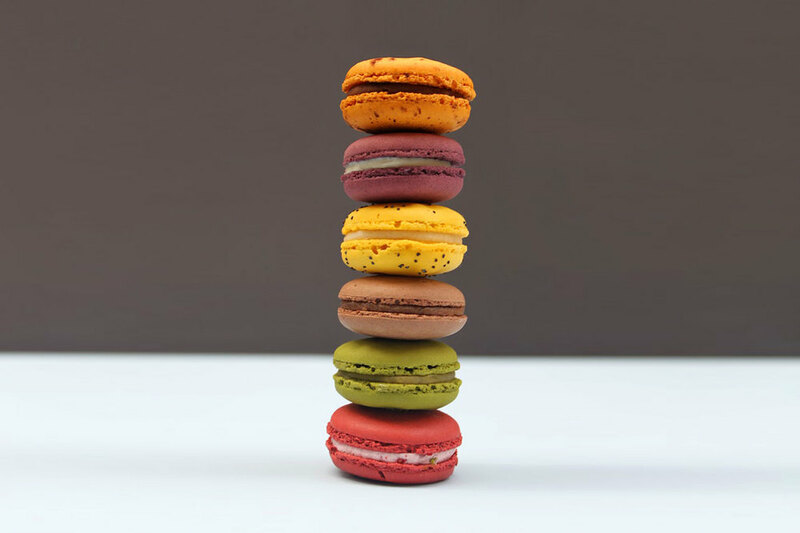 Our macarons are bright little bites with assorted flavors drawn from the seasons. These treats are naturally gluten-free and are perfect for satisfying any sweets craving. Chef Peter Rios learned from the best in France—at Ferrandi, Le Notre, and Valhrona—and now expertly crafts macarons with creamy ganache or confit fillings, and a perfectly light crunch. Our petits gateaux offerings are an elegant cross between a traditional cake experience and an elevated plated dessert. Chef Peter Rios combines textures with mousses, cake, and crumbles, plays with layers, and crafts visually stunning pieces accented with macarons, chocolate decor, and gold leaf. Our desserts draw inspiration from our staff—with all of our “girl desserts” named after employees past and present—and provide a unique alternative for celebrating a special event with a decadent flair. In our patisserie, you will find a collection of offerings for a mid-morning commute or a late-afternoon break in your day. We offer our flaky baked croissants in a variety of flavors—from our classic pain au chocolat, sugar-dusted Almond Croissiant to our hearty ham and cheese. 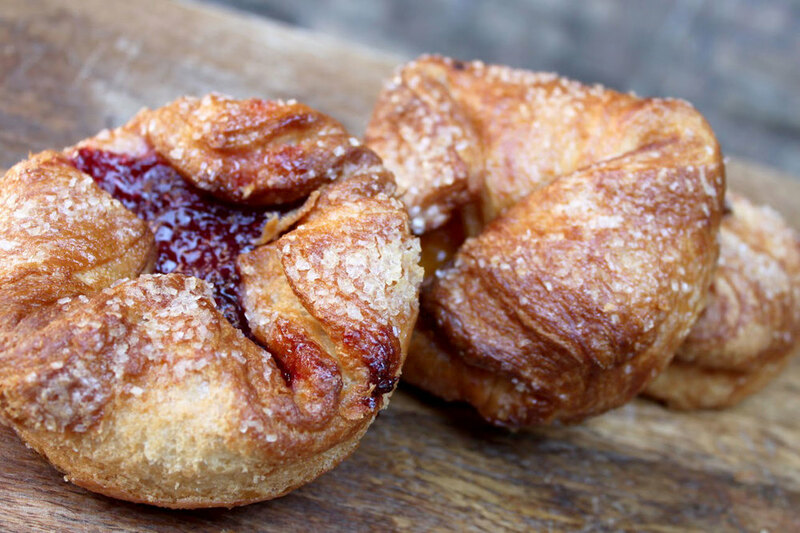 We also offer Kouign Amanns— a Breton specialty with a twist, pecan sticky buns, cinnamon rolls, and a collection of sweet and savory scones. Whether you are looking for a quick treat or a French-inspired shake up of your breakfast routine, we have something for everyone. 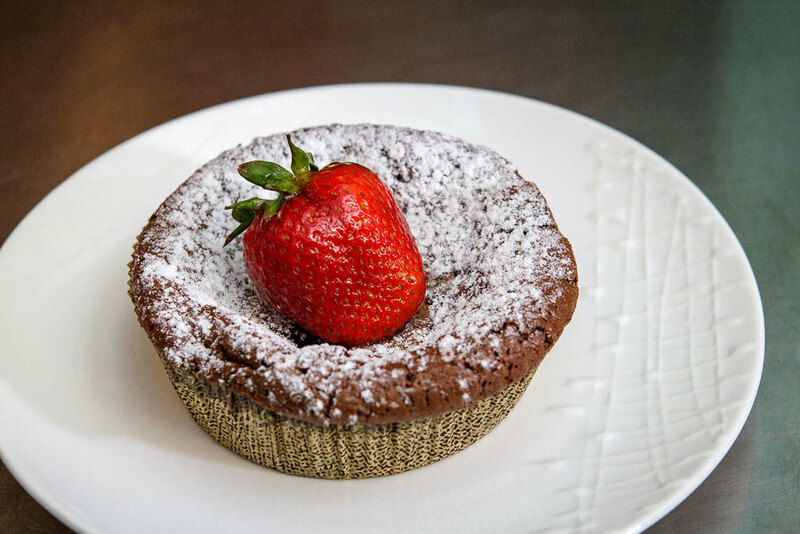 Chef Rios is excited to create a menu of fine French pastries and American desserts, perfect to linger over in the cafe or take on the go! 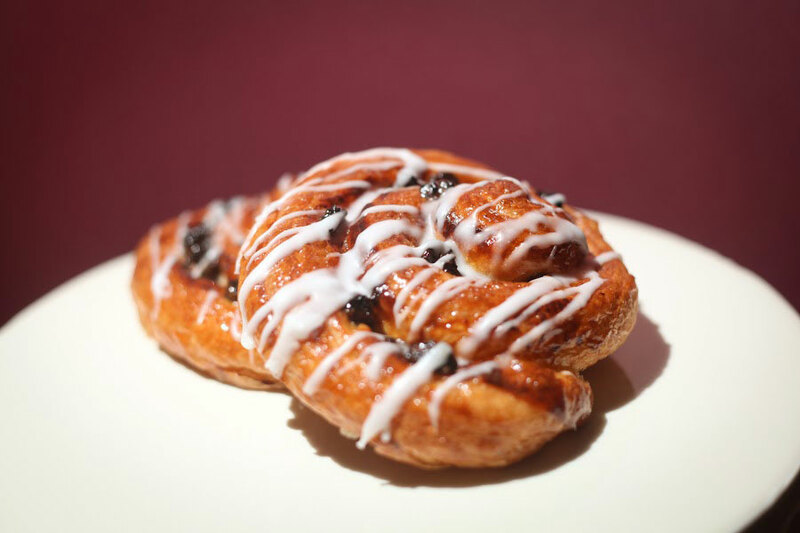 We also offer full coffee and espresso bar service at our patisserie. We brew fresh pots every morning of our exclusive Alliance Patisserie blend from Colectivo Coffee Roasters, and offer an assortment of espresso beverages of French and Italian influence. Stop on in and try a Café Miel (a shot of espresso, steamed milk, cinnamon, and honey) or a Red Tuxedo (a mocha with a shot of raspberry syrup). 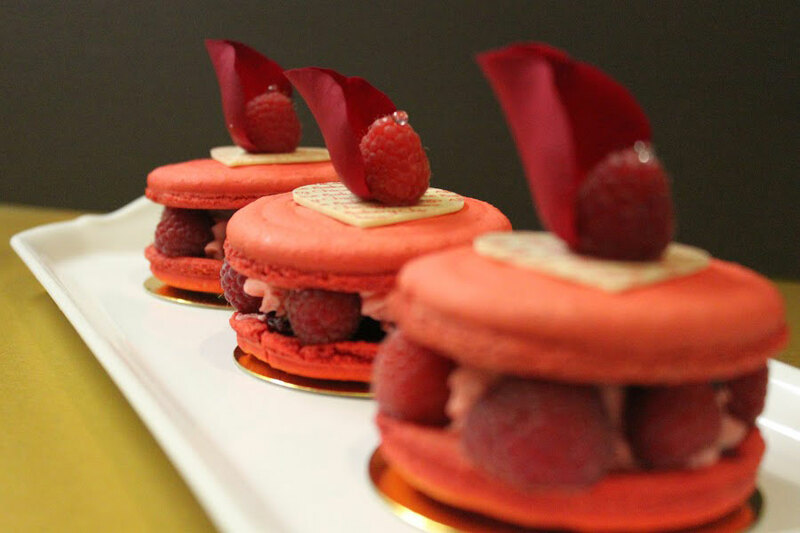 Alliance Patisserie is a modern day pastry boutique rooted in French style and tradition. Here we pair European technique with an artistic eye and an unmatched flavor profile, specializing in macarons, petite gateaux, and viennoiserie. Nestled in the River North neighborhood of Chicago’s bustling downtown, we provide a sweet stopping place for neighbors and visitors alike. Chef Peter Rios is the Owner and Executive Pastry Chef of Alliance Patisserie, which sprang from his training and work in French technique to yield modern, thoughtful and delicious pastry throughout Chicago. Chef Peter Rios also operates Alliance Bakery & Café in Wicker Park, an award-winning bakery known for their groundbreaking custom cake designs. Chef Rios previously served as executive pastry chef at the Fairmont Hotel Chicago leading a team of ten in the pastry department. He created Asian and global inspired desserts at Aria, the hotel’s award-winning restaurant. The Aria Sushi Bar, Lobby Lounge and the Club Lounge were other outlets at the Fairmont which offered international desserts. Prior to Fairmont Hotel, Chef Rios served as executive pastry chef at Sofitel Hotel Chicago for almost four years. He enjoyed the challenge of preparing modern French pastries for the flagship location of this French hotel company. As executive pastry chef for the Art Institute of Chicago for six years, Chef Rios created many themed buffets and displayed his talents in matching modern and traditional pastry to art exhibits and shows for this famous museum. There, his creations met the mouths of global visitors and dignitaries. Chef Rios has trained extensively in Europe and has participated in demonstrations in Paris, Lyon and Nice, France and most recently in Chocolate and Pastry seminars in Istanbul, Turkey. Chef Rios is a graduate of Kendall College. He has participated is multiple advanced courses at the French Pastry School Chicago since 1994 were he continues to learn and evolve in the art of Pastry. Click Here to Start an Order!